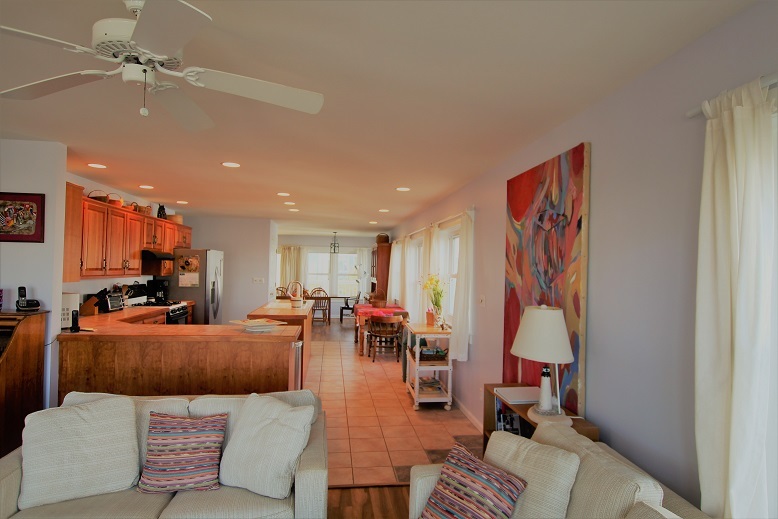 Enjoy this family sized, beach rental home in historic Lewes, DE, the first city in the first state. 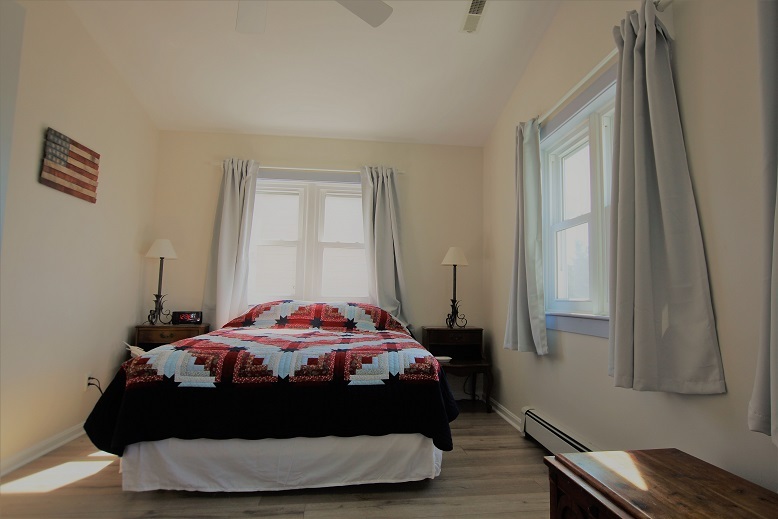 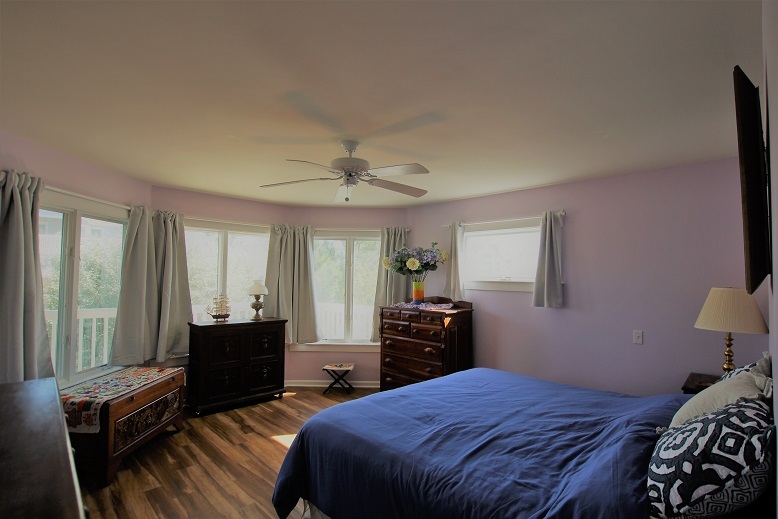 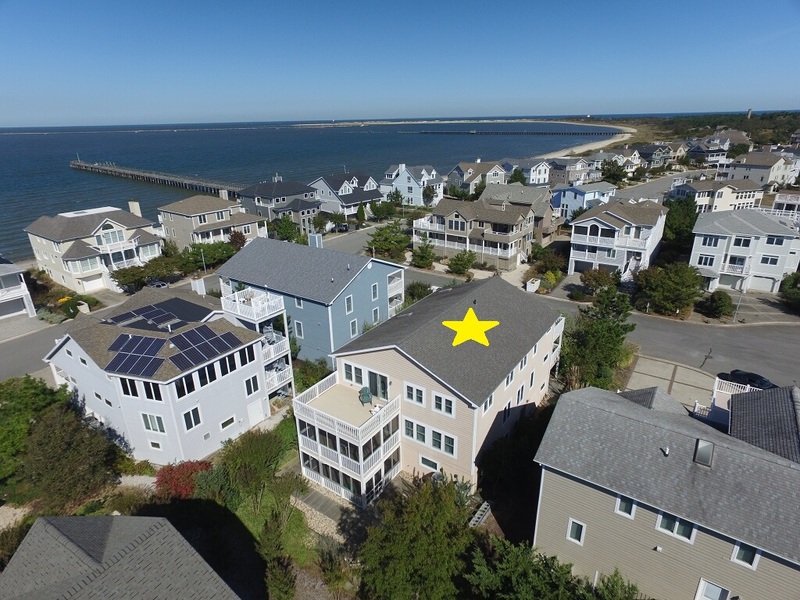 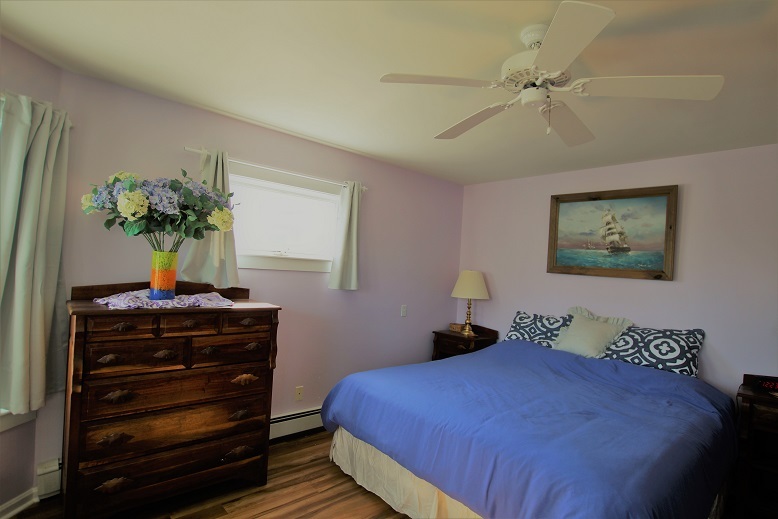 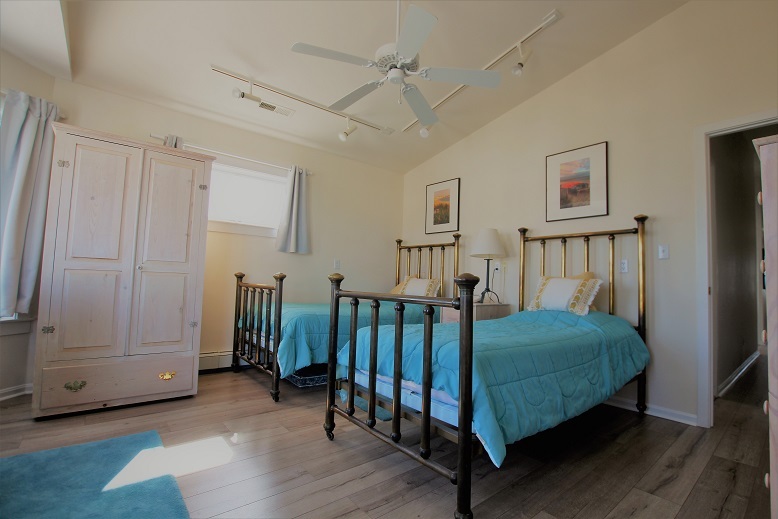 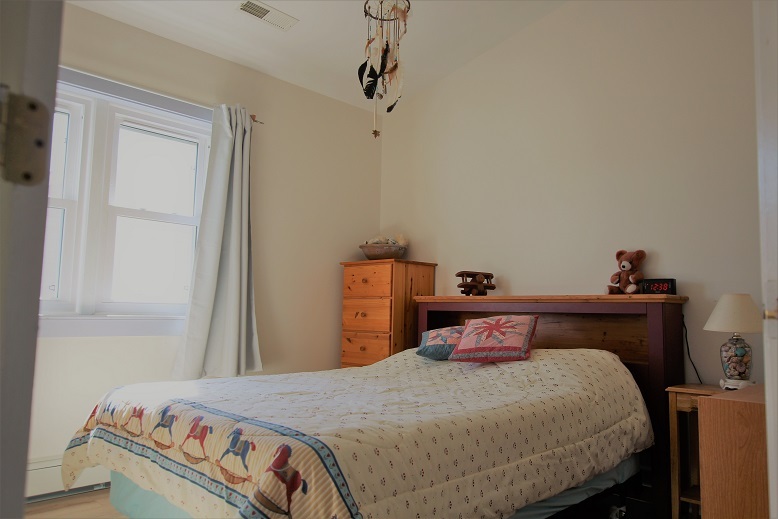 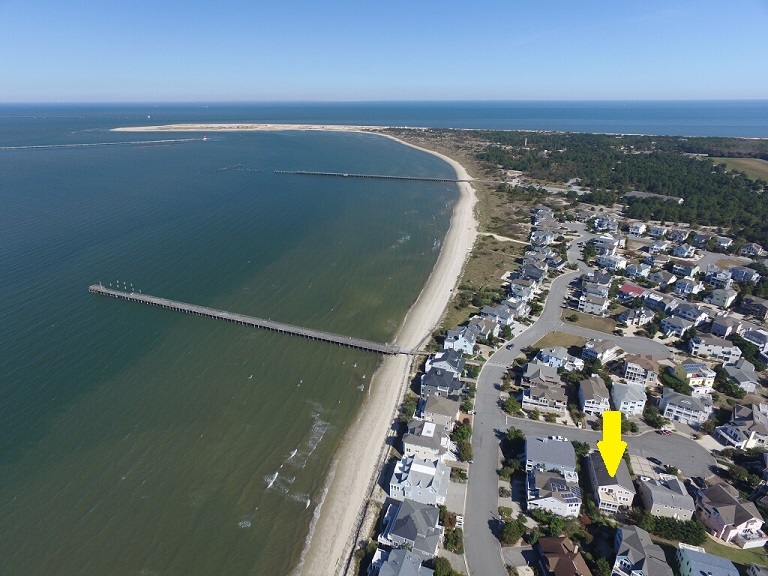 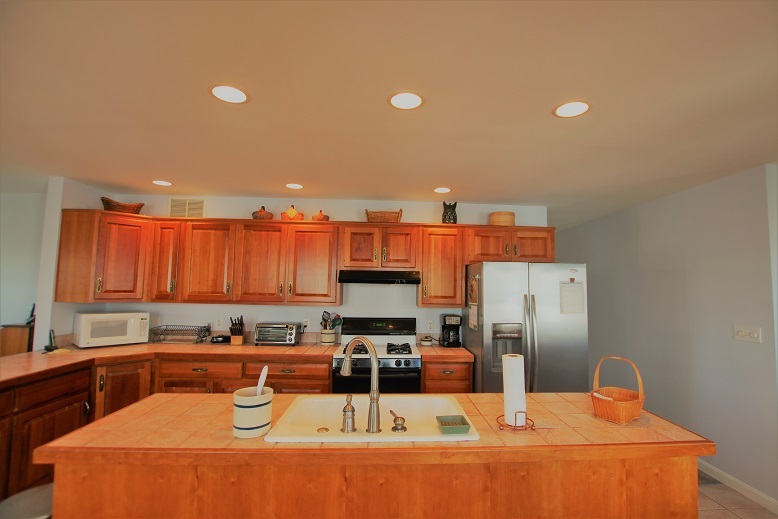 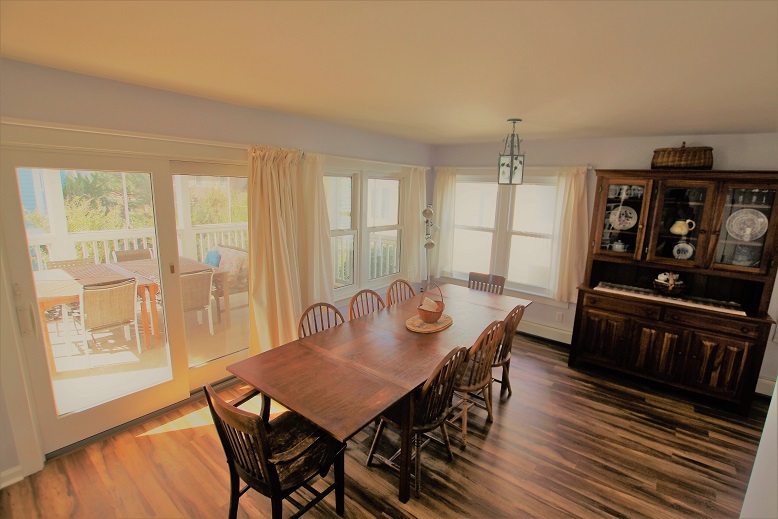 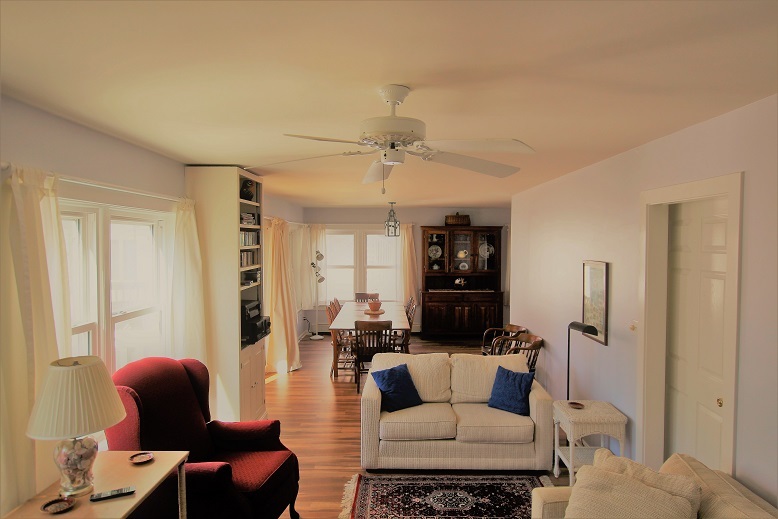 4 Debraak Landing, Cape Shores- Move over bed and breakfasts!The small town of Lewes offers quaint shops, a variety of restaurants, boating, a lighthouse, colonial and WWII sites, in addition to Delaware Bay beaches and the oceanside Cape Henlopen State Park. 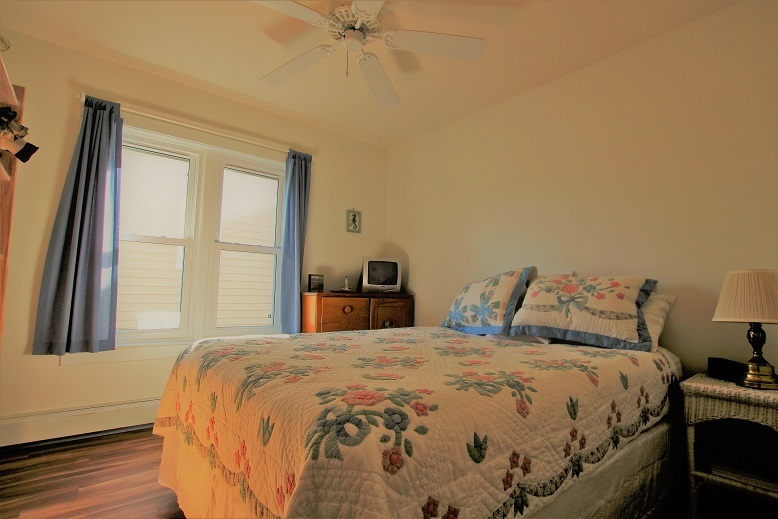 It is located a few hours from metropolitan cities, including Washington DC, Philadelphia, and Baltimore. 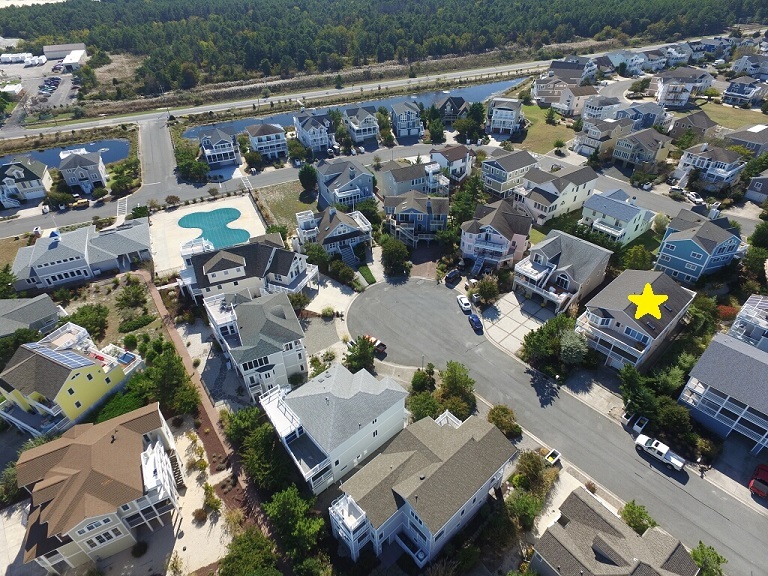 This home in Cape Shores offers three levels of spacious living, including screened porches, balconies, and grilling deck. 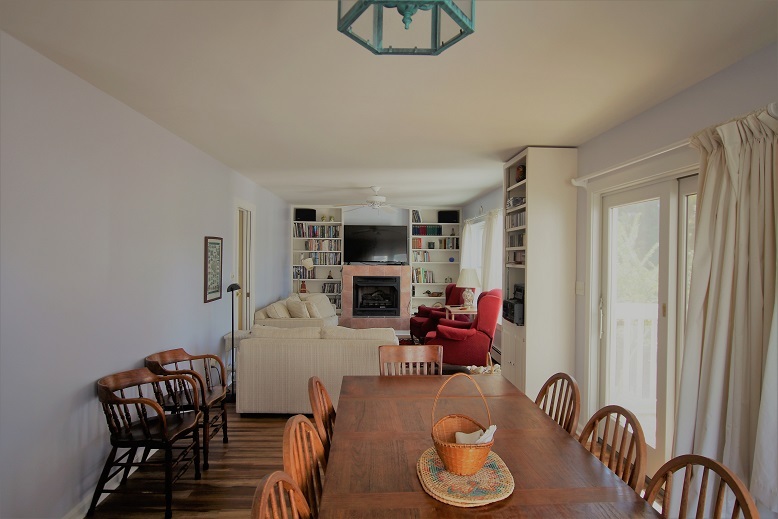 Enjoy sun bathing on private balcony, or views of bay and lighthouse from the front top deck. 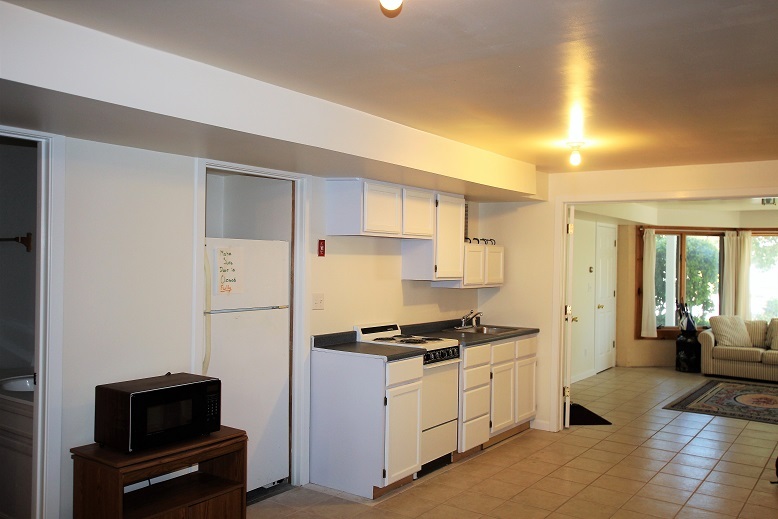 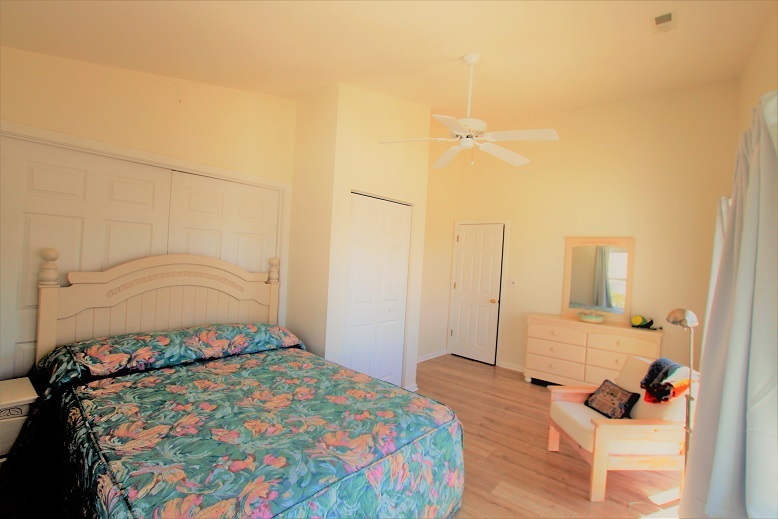 Master and one secondary bedroom on middle floor with two sitting areas, kitchen, and dining room. 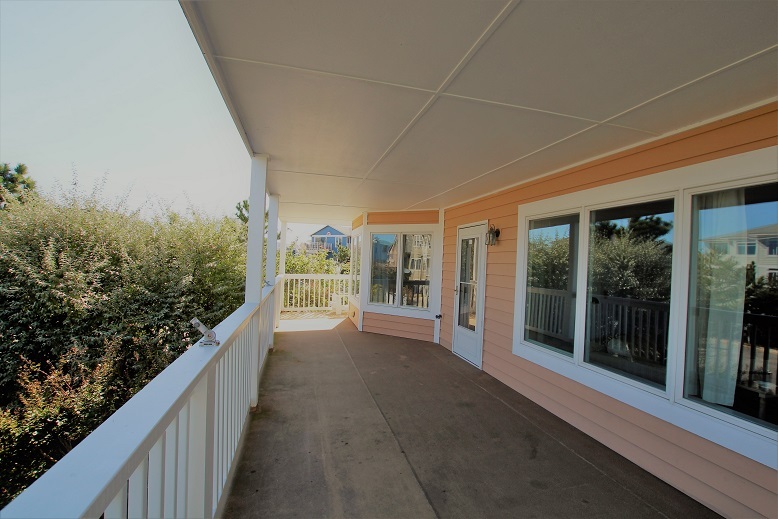 Dine inside or out, on second level porch. 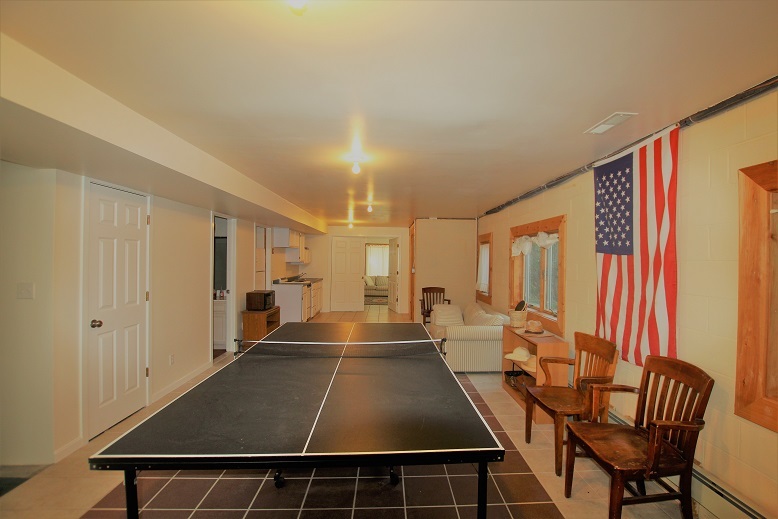 Third floor has five more bedrooms and a great room with varied entertainment; a ping pong table is located on ground level. 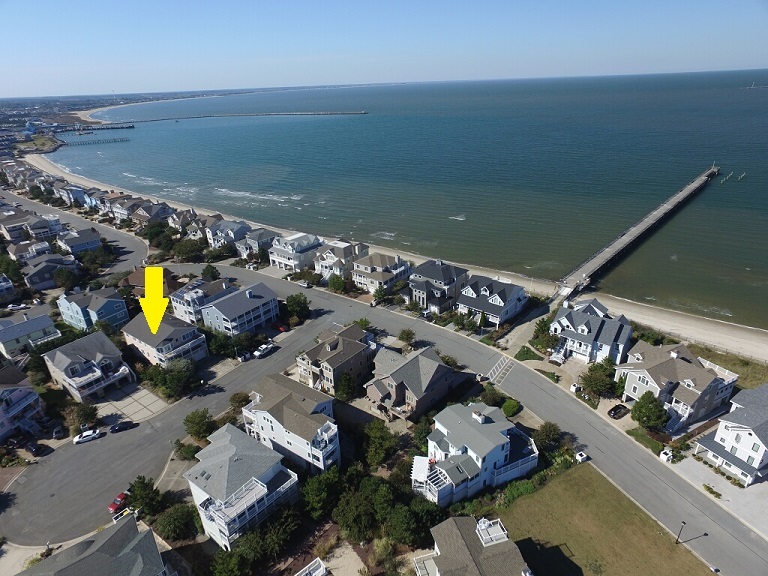 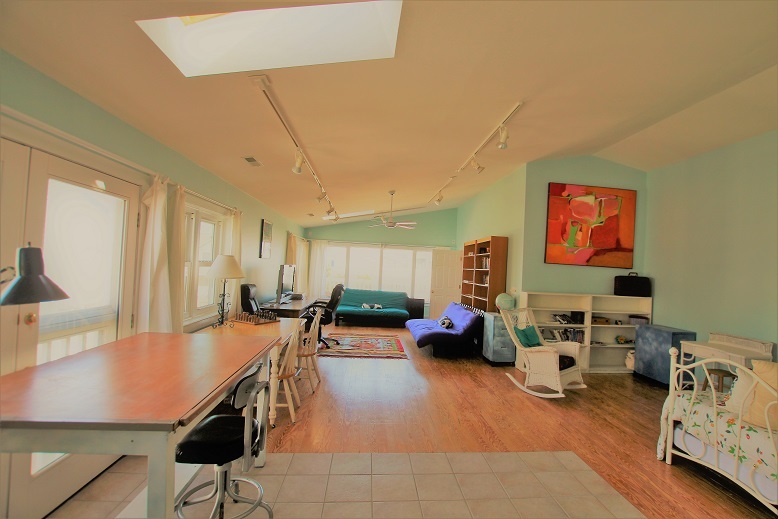 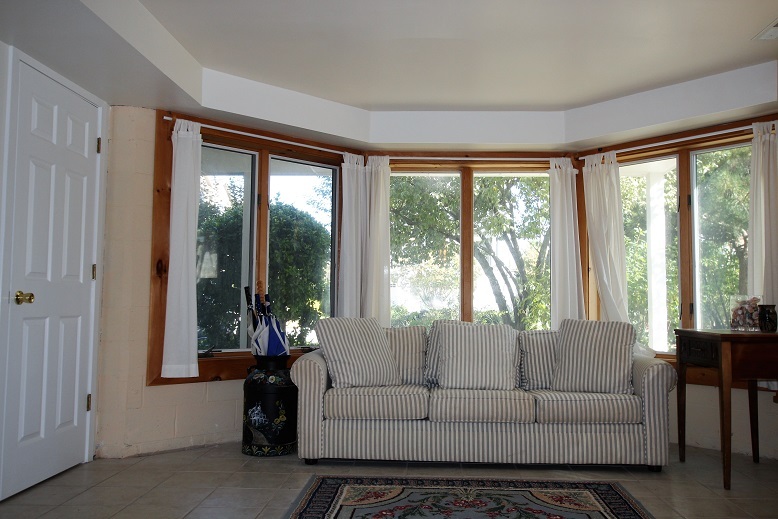 This house is one block to bay beach, pier, pool pathway, and has use of two tennis courts. 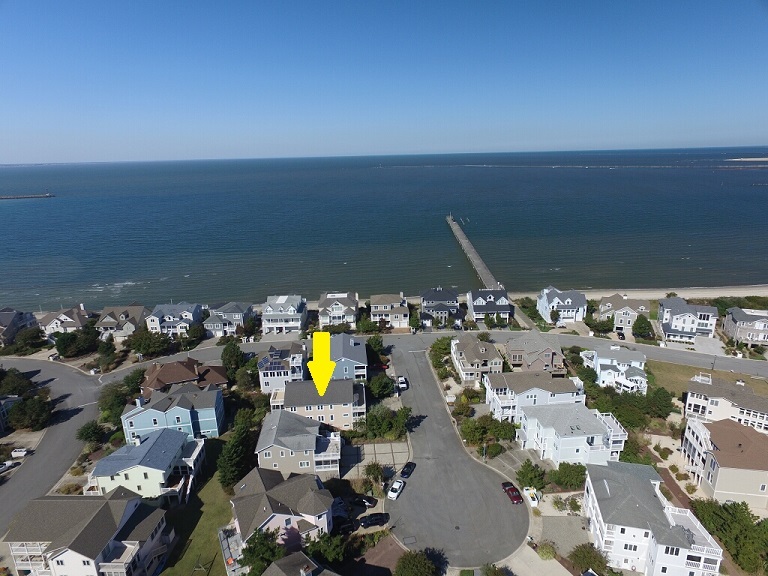 The state park and Cape May Ferry are on either side of Cape Shores, and downtown Lewes is 3 short miles away. 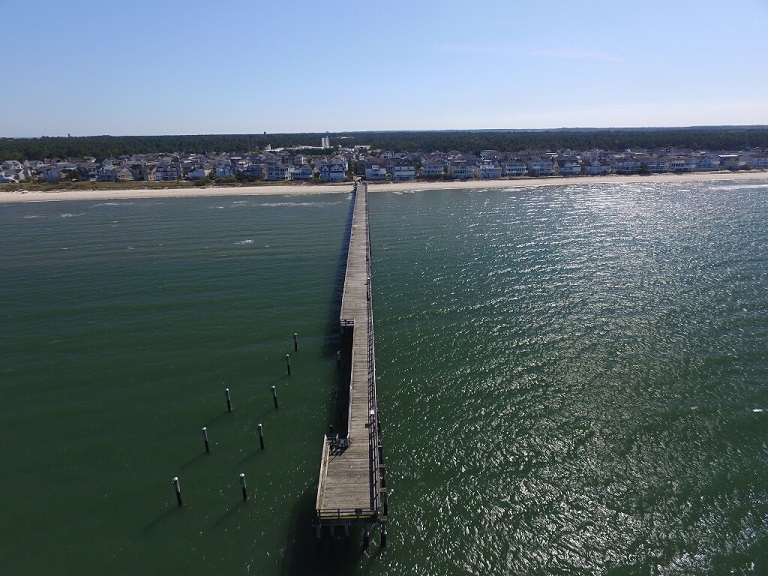 Local attractions include bike trails, bike/boat rentals, kayaking, paddle boarding, jet skis, nature center, fishing, bay side pier and military history. 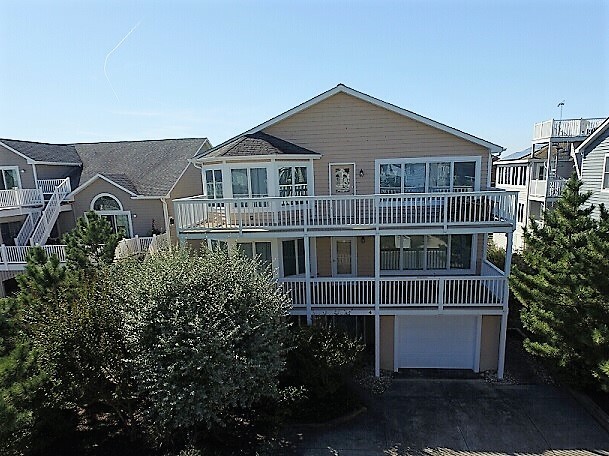 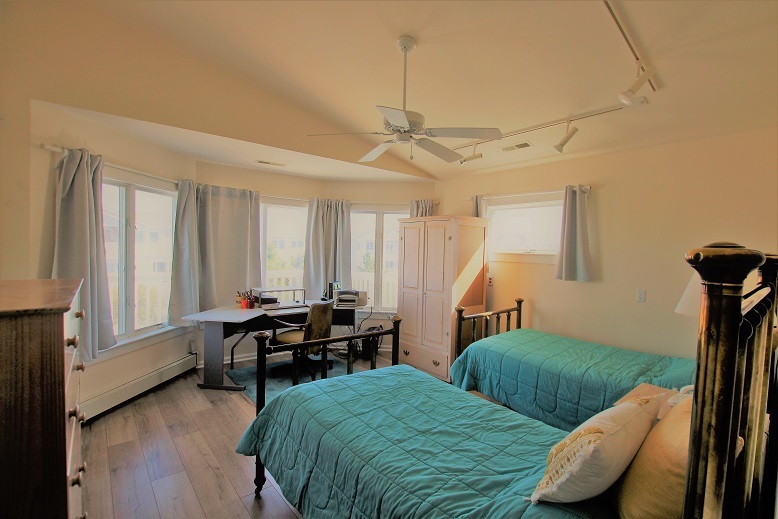 Nearby, on Route One, enjoy water/amusement parks, golf, or Rehoboth beach & boardwalk (15 min drive), with more activities, shops, excellent restaurants, and family fun.